EASYNESS The model is constructed entirely in AutoCAD 3D using Architrave Design, an interface that creates the lines, polylines, 3D elements, and blocks that define it. 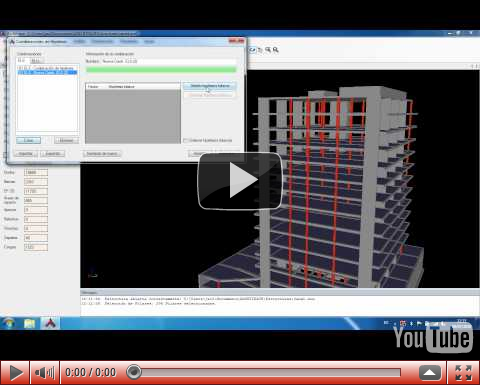 Take advantage of your AutoCAD knowledge of AutoCAD and apply them to the structural design. SPEED Architrave does not make you wait. Calculate and design in a matter of seconds. Architrave Analysis is from 10 to 20 times faster than the rest of the commercial programs. It is ideal for large-scale structures and to carry out comparative studies between several structural solutions. EFFECTIVENESS See and manage your model spatially by taking advantage of the powerful graphics engine and advanced visual navigation interface of Architrave Analysis, adding efficiency to your work of analysis, optimization and comparison of structural alternatives. VERSATILITY Design and analyse conventional, complex and singular structures with the same application. Combine different constructive materials, structural types and all kind of external load actions in the same model.Develop structural models parametrically and generate alternative solutions "copying and pasting". TRANSPARENCY Work with a glass box instead of calculating with a black box. All the information you need is at your disposal and easily found. Analyse specific problems that is unable of addressing your traditional program and get a "second opinion" when there is something that is not fit in the results provided by this program.